This is the perfect class for those interested in learning the basics of garment sewing. 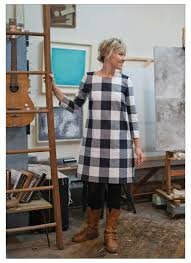 In this class we'll cover all the basics of garment sewing: pattern sizing, reading a patter, fitting, materials, preparation of fabrics, and finishing. You'll complete one, possibly two ready to wear garments. Beginning sewists are welcome. We'll be working out of the Lotta Jansdotter's book "Everyday Style."